Birds kissing on a tree branch with a small heart. 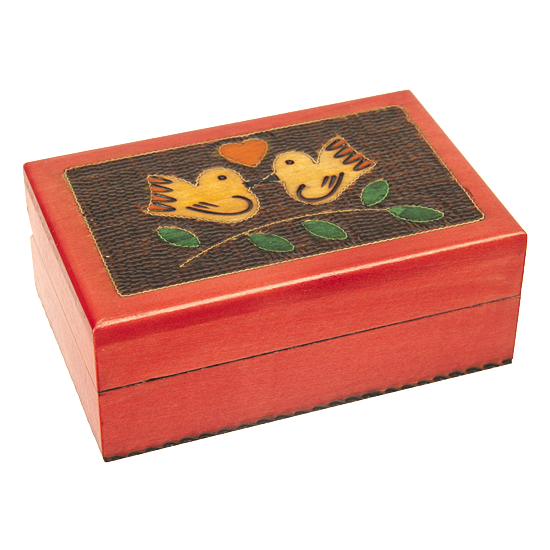 This box features elegant Polish brass-work, vibrant colors, and a very time consuming background effect where hundreds of small, controlled woodburn marks are made to create a semi-organic, warm pattern. This background technique is seldom used even in Poland, due the sheer amount of labor involved.